The three day cruise down the Yangtze is over. 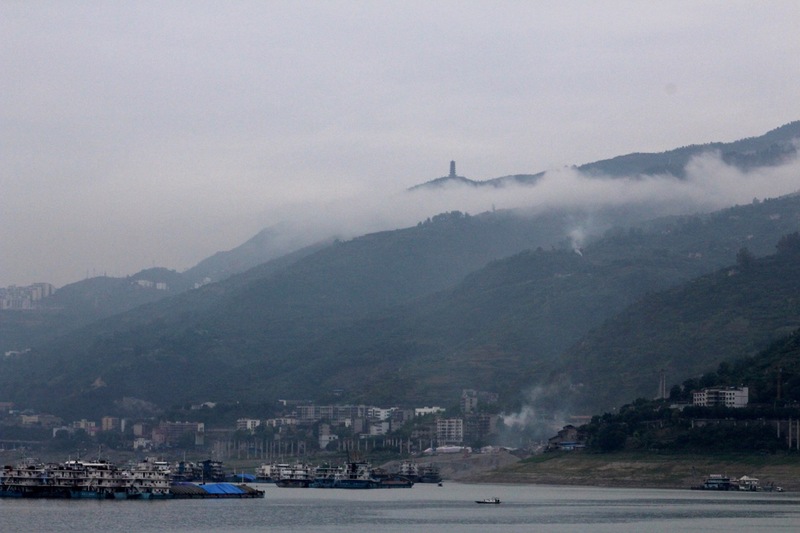 If you ever have a chance to go from Chongquin to Yichang on the Yangtze River, do it. There is nothing I can write or any photograph I can take that will do it justice. Like everything else in China it is supersized—not quite as long as the Nile but much more water flow. 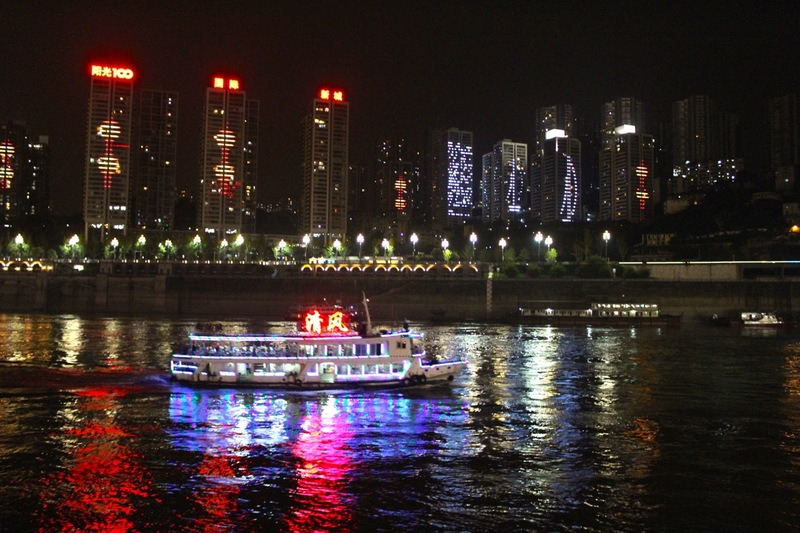 The portion of the river we cruised on was about 700 kilometers or just over 400 miles, beginning in the largest city in China and flowing past perhaps a half dozen large towns or cities before we stopped in Yi Chang Dong. In the Yangtze River basin live almost half a billion people, over a third of China’s population. Most of the county’s fertile and productive farm land is here, producing more than half of all food in China. While you see a number of good size cities as you cruise along, because of the tall mountains, much of the time you think you are in the wilderness. In one sense the Yangtze River and its wide basin is the very soul of China. How goes the river, goes China. The boat we were on—the “Victoria Grace”—is part of a fleet of seven ships owned by an American Company whose founder and CEO is a Chinese American. 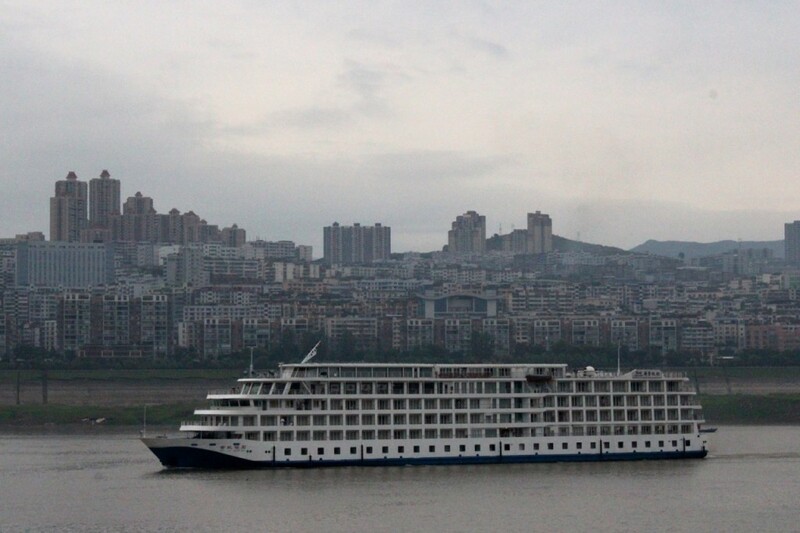 Our ship with a crew of 80, can accommodate 198 passengers but had only 119 on this cruise, due in part to the increasingly competitive nature of the river cruise business with lots of new boats owned by Chinese public/private joint ventures. 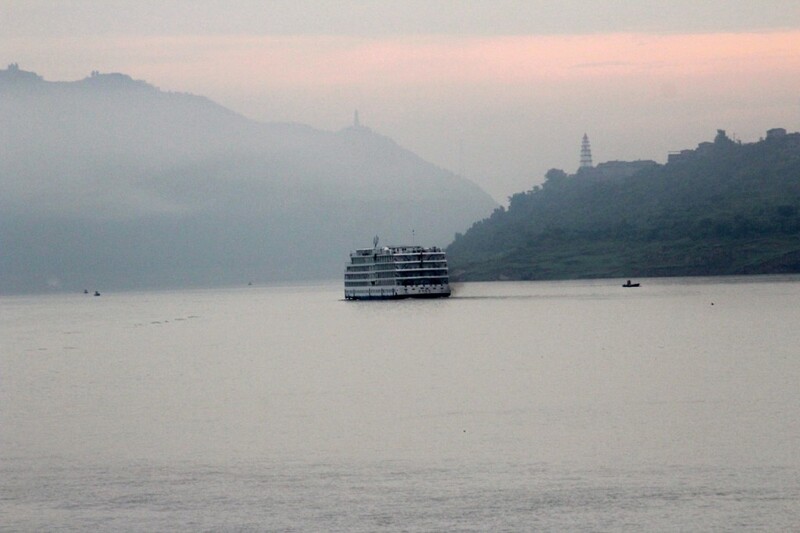 There are a number of things that stand out about Yangtze River journey. 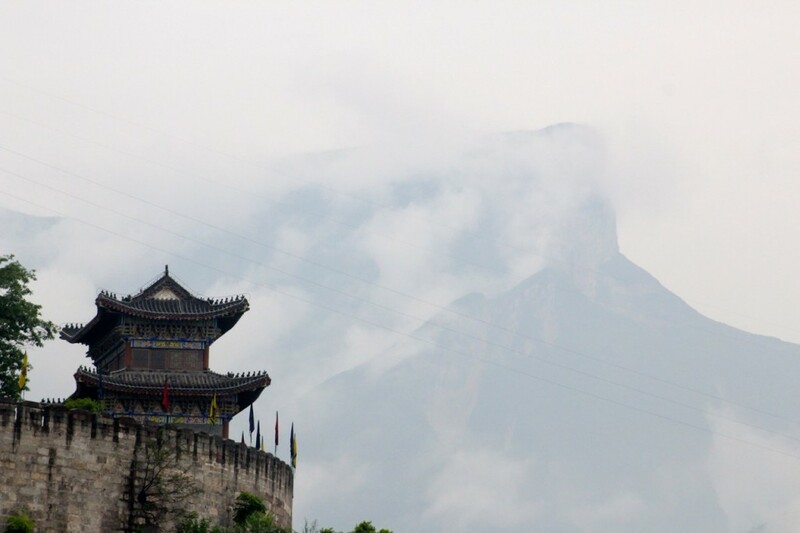 The first is that the trip is stunningly beautiful, in spite of–or perhaps because of–the mist and clouds that are forever changing the appearance of practically everything. The second is the several stops along the way for brief visits to pagodas, temples, or small tributaries. The third is the heavy commercial traffic that we continuously passed. 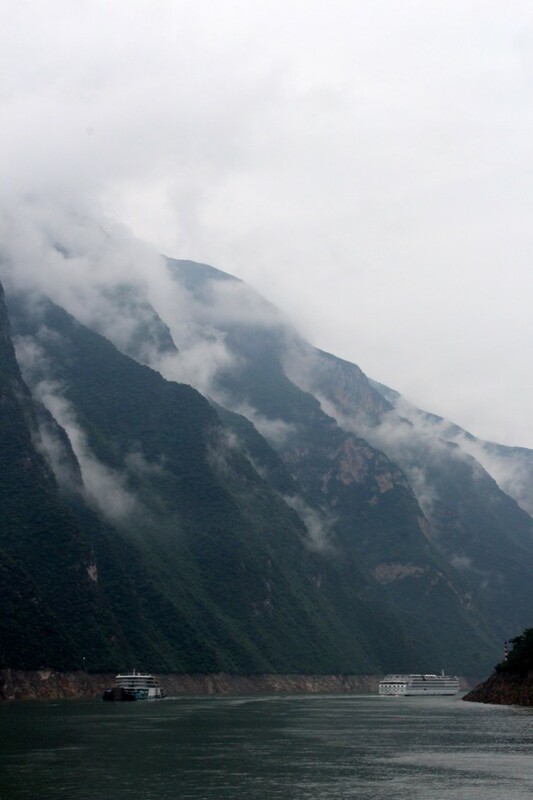 And the last two are the special ones: coasting through the Three Gorges and seeing the Three Gorges Dam. 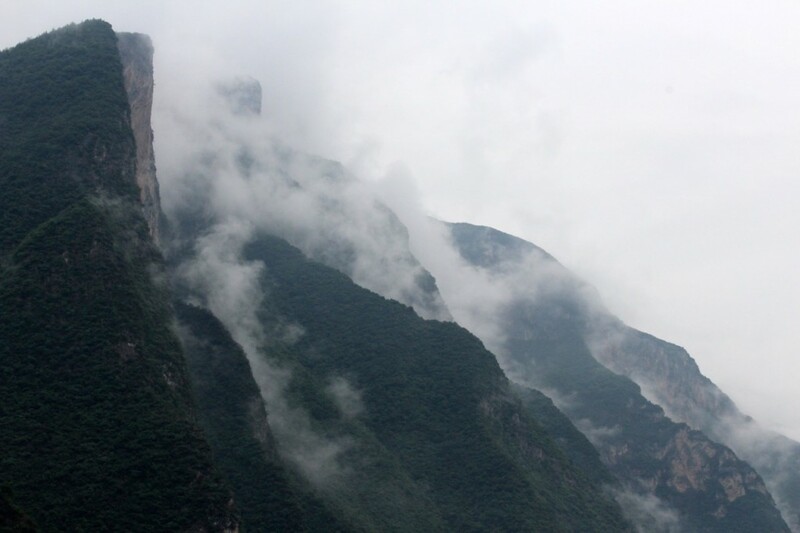 There are three areas on the river, the famous “gorges,” where it narrows and mountains and cliffs go straight up thousands of feet. Each gorge has a special Chinese name and varies in length, the first and “most beautiful” is only about 20 kilometers, the second, the “most magnificent,” is over twice that long and the third, below the dam and the “most treacherous is midway between the two The total amount of time spent marveling as you cruise through all three is probably only about three or four hours but time you will never forget. After passing through the first two, which happens on Day 2, you hit the Three Gorges Dam, completed in 2006, the largest dam in the world and the largest public works project of any type, taking 17 years to complete and costing over $60 billion. The dam was controversial from the first time it was proposed by Sun Yat-Sin in the 1920s and remains so today. Over 1.3 million people were displaced and permanently relocated. Numerous archeological sites were impacted. The natural beauty of the gorges was diminished by flooding the areas where rapids occurred. Some say enormous ecological damage was done. At the same time it seems to have accomplished its most important objectives—flood control, promoting and facilitating commercial traffic, and producing hydro electricity. Since we had not experienced the river in its “before” state, it is hard to know if the negatives outweigh the positives. But what I can say is that while the natural beauty of the place may have been altered, it remains today one of the most beautiful and holy places on the planet Earth. The trip was fun in other ways as well—getting to know the Indian family I talked about in my previous blog, watching all the Chinese passengers (and 20 Korean ladies) have such a good time, and enjoying evening entertainment by the crew—costume show, folk dancing and fabulous singing by Aalayah, the USC student from India. We are now on another high speed train headed for He Fei Nan, which I know nothing about and look forward to more surprises. I hope you got my email with contacts for Matthew? Give them our love and tell them we are spending the night with Chris (Matt’s father and my brother) and Wendy next Sunday night! I made that same trip in 1980!!!!! before the changes – and then I returned in 07 to work in Chongqing ! Glad to hear that the voyage is still gorgeous.